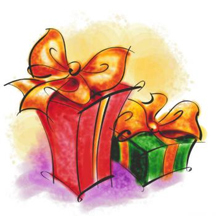 The Holidays are a Major Online Shopping Time! With the holiday season approaching, many people who don’t usually shop online are going to take advantage of e-commerce sites to save time and money. And, smart shoppers are likely to use one or more of the many price comparison sites including free listing sites such as Google Product Search and TheFind.com as well as sites that charge merchants to list their products. When you compare prices, make sure that you factor shipping costs into the mix. Shipping has risen quite a bit over the last couple of years, in part due to fuel costs and fuel surcharges. In addition, some shippers (notably UPS) charge a standard weight for odd-size or large packages. With competition for online stores, actually ALL stores, being so tough these days, some retailers tend to “gild the lily” so that their products appear to have the lowest total cost on price comparison sites. Maximize Solar Lighting During Fall and Winter Months! All solar lights work best when they are placed and used properly. While maximum benefits are seen during the summertime when the sun’s light is strongest, there are many ways to take maximize the advantages of solar lighting throughout the year. 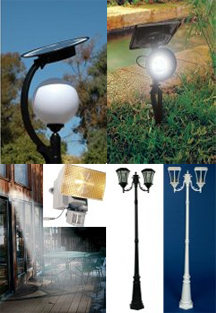 Solar lighting technology has come a long way over the past couple of years. Better ways to use LED lighting, more weather-tight construction, and better designs make it the smart choice. When going solar, make sure that you buy quality products that use the latest in technology and design for both the light source and the housing. Solar lighting panels need to be placed where they will receive the maximum sunlight throughout the day. Shadows cast by houses, trees and other structures move and lengthen during the day.